When I think of Kristen + Tim's wedding the first thing that comes to mind is...PEONIES!! Kristen's godfather owns a peony farm and saved approximately 2500 stems for her mid-June wedding. In addition to the fabulous flowers, this wedding was chock full of amazing details, from a delicious and non-traditional rice crispy wedding cake to their own "brand," which was christened and burned on a log during the reception. Look for Kristen + Tim's special "brand" on their candle holders! And...Kristen's dress is absolutely TO.DIE.FOR. 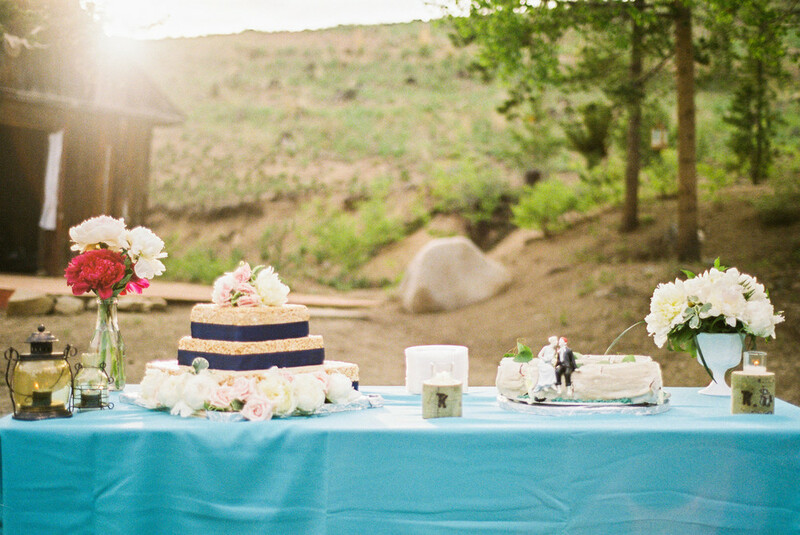 This lovely couple lives in Arizona but wanted the perfect rustic chic wedding in Colorado. I'd say they achieved that and more at their venue located just outside Breckenridge! Gorgeous film images by Kelli Lyn Photography.